A bill that would granted in state tuition status to any student who has attended high school in North Carolina for at least three consecutive years immediately prior to graduation is earning the praise of Latino advocates. Senate Bill 463, introduced by Sen. Fletcher Hartsell (R-Concord) last week, would make higher education more affordable for undocumented students who have received a high school diploma or a general education diploma (GED) in our state. Members of the Adelante Coalition says beyond benefiting the students the legislation will increases the state’s productivity and strengthen North Carolina’s future tax base. “Especially with higher education growing increasingly less affordable, improving educational opportunities for all North Carolinians is a win for the students and a win for our state,” said Paul Cuadros of the Scholars Latino Initiative. 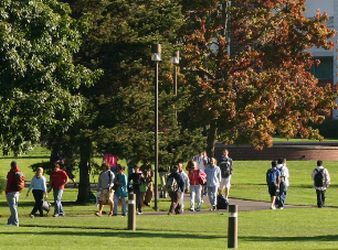 Sixteen states have passed legislation allowing certain undocumented graduates of high school to pay in-state rates for college, according to the Adelante Education Coalition. SB 463 has been referred to the Senate Rules Committee. You can read more about the bill here.